Science on Screen. Tickets are only $3! Beginning with presentation "The Science of Jurassic Park" from Thor Hansen, Professor Emeritus of Geology at WWU. How do we know what dinosaurs were like? Are the dinosaurs depicted in Jurassic Park accurate? This presentation will explore the kinds of evidence paleontologists use to reconstruct how dinosaurs lived and just what Jurassic Park gets right and wrong about them. 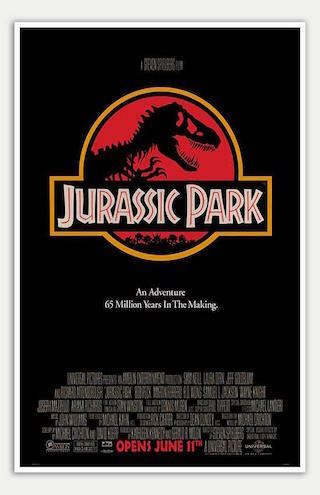 Presentation followed by a screening of Jurassic Park, Steven Spielberg's phenomenally successful sci-fi adventure film about two dinosaur experts -- Dr. Alan Grant (Sam Neill) and Dr. Ellie Sattler Laura Dern) -- and their experiences at larger-than-life theme park for dinos. We are happy to provide ASL interpreters by request for any of our events with live speakers and presentations. If you would like to request an ASL interpreter for Jurassic Park, please email ariel@pickfordflmcenter.org or give us a call at 360.647.1300.